Lower Valley Farm: What is a Veggie Box Subscription? 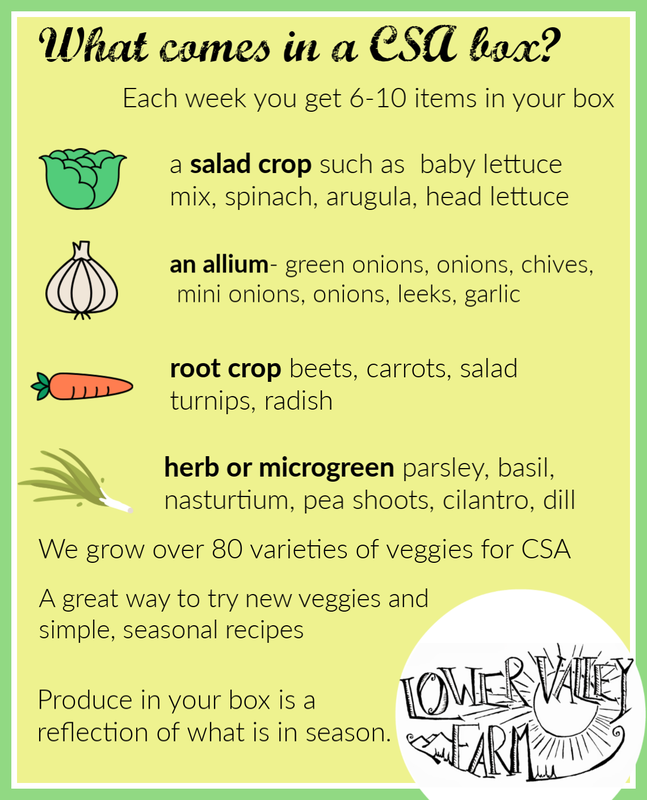 The veggie box is also known as CSA short for Community Supported Agriculture. Membership comes with a guide to using vegetables, a weekly farm newsletter, extensive cooking resources, cooking/meal ideas, and a meaningful connection to our farm. What is included in CSA membership? 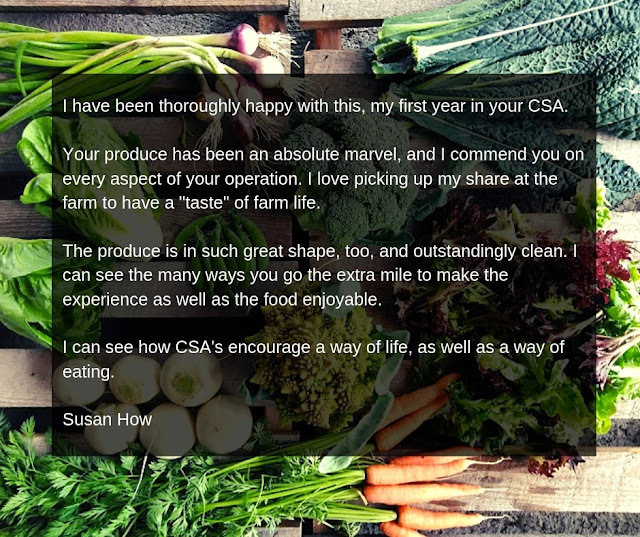 Six years of our CSA recipes, tutorials, and cooking tips in an easy to access online academy. At no additional cost our CSA members receive a wealth of information about easy ideas to incorporate fresh seasonal produce into your daily meals. 2019 CSA members have access for the entire calendar year. Each CSA box is packed with care and comes complete with a weekly CSA newsletter. 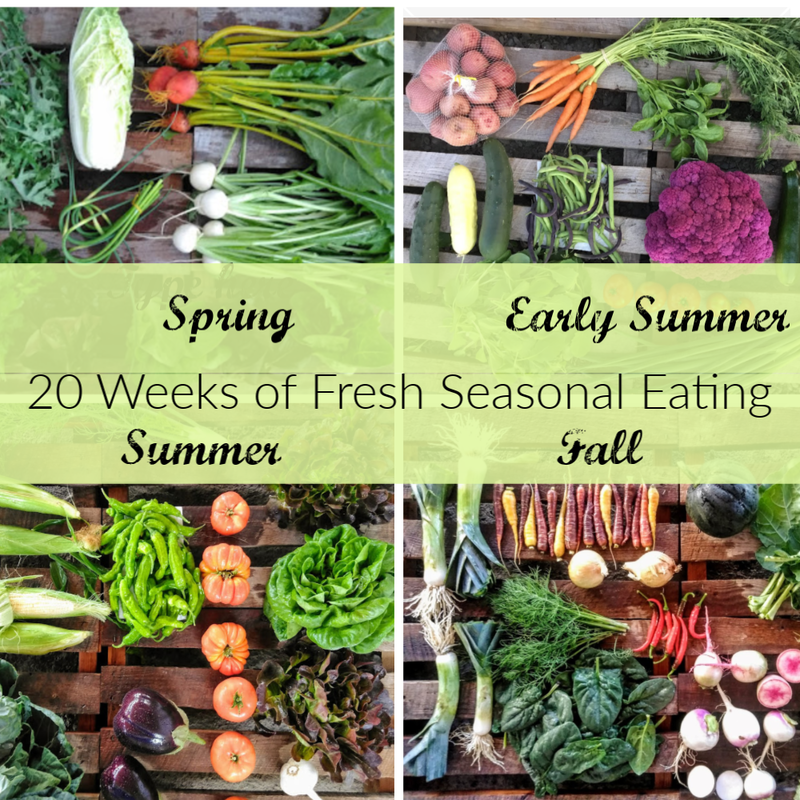 You receive 20 weekly boxes of clean, fresh, seasonal produce. We offer five convenient pickup locations. 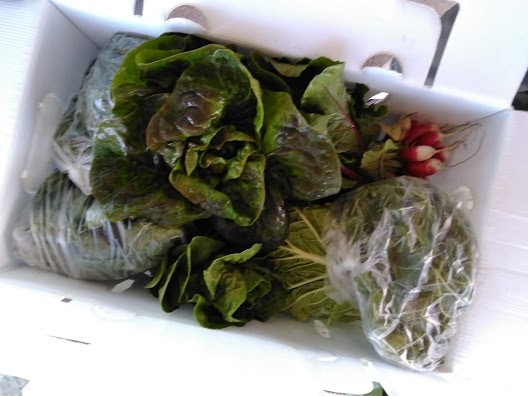 The produce comes in a CSA box that is kept under refrigeration from harvest to pickup. 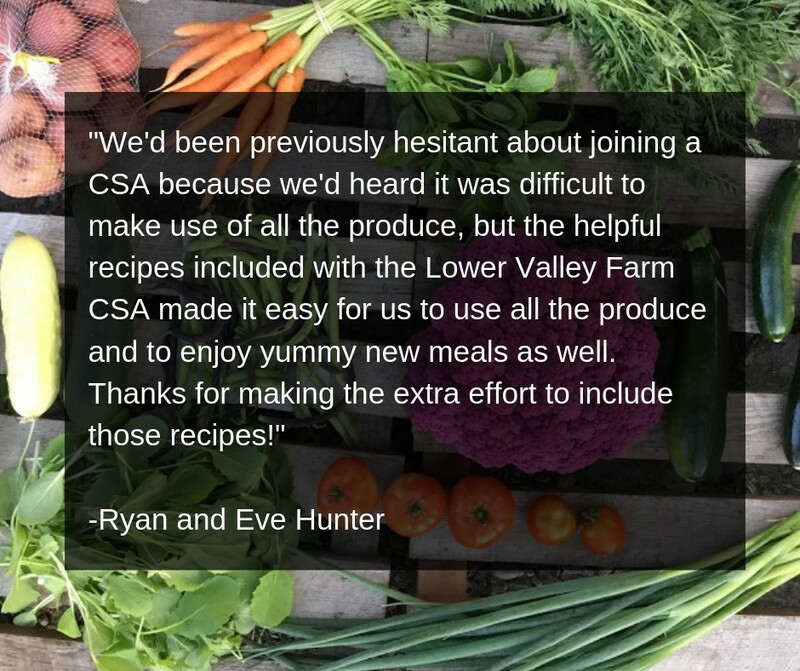 CSA is a great way to become an active member of your local food economy, eat a wide variety of foods, try new recipes and is A Delicious Way to Eat Seasonally!